In search of a live-out, full-time nanny that can take care of my 3-month old starting August during weekdays 9-5. I live in the Chantilly, VA area. Nanny should have experience with newborns, have their own transportation and be comfortable with a cat. I am ok with a nanny share in and around the area as well. Responsibilities include full supervision and caring for my daughter from feeding to swaddling+napping, diaper changes to singing/playing/cuddling/tummy time. Once she is older, other development activities will be required. In addition, expecting some household work such as doing baby's laundry, dishwashing, giving meals to cat and basic meal prep. We are a fun, outdoors loving, arts and crafts attempting, mixed race hispanic/black family! Our son is 10 months, he started walking last week and is more than eager to see the world. Our dog (the original baby) is 2 years old, energetic and playful but also likes to relax next to his brothers crib during nap time. We would love a nanny who is fluent in both english and spanish. We only have one child and we are both working parents. We need a nanny to watch our 7 month old baby. We live in a quiet neighborhood and we want to make sure our baby is healthy and getting all the attention and care needed. 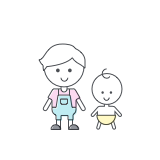 Our nanny availability will be monday through Friday 9am to 6:30pm. Including a 30 min lunch break. Two high school teachers with two little boys. Looking for care starting next August. The oldest will be in preschool 4 days a week from 9:30 to 1:45.